Shrove Tuesday, or Pancake Day, is tomorrow (4 March). It is an important day for many Christians which involves solemn self-reflection in preparation for Lent. It is also a last chance opportunity to feast before the Lent fast. So if you have even the slimmest of Christian faith or tradition it is a great excuse to indulge in pancakes, the traditional food of Shrove Tuesday, after the appropriate self-reflection of course! For me, one of my biggest sins would be gluttony, so there is a certain amount irony in this. Shrove Tuesday isn’t a tradition that I grew up with but my son loves pancakes. He is only three years old and is at that stage where I just want him to eat something so it’s likely I will be taking the opportunity to make some pancakes tomorrow. My pancakes are light and fluffy on the inside and lightly crisp on the outside. 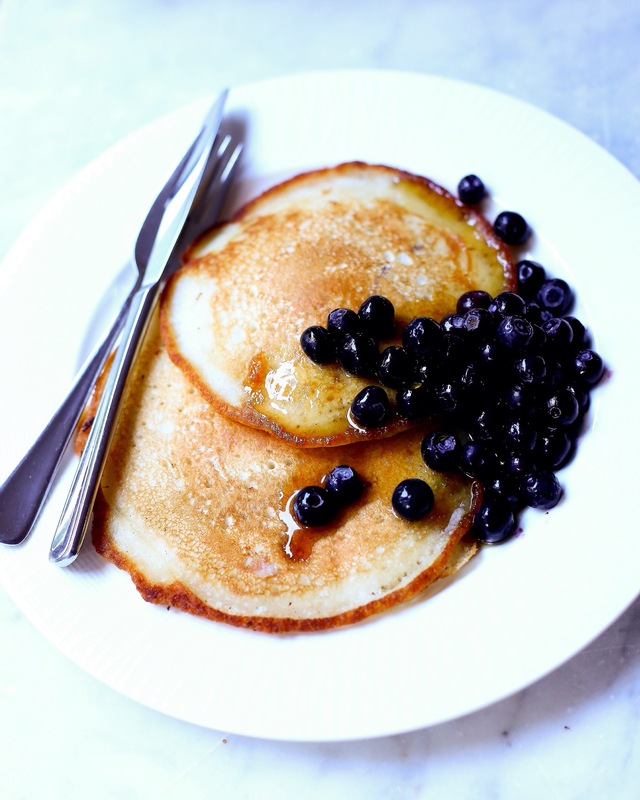 At the moment we’re enjoying pancakes with blueberries and maple syrup. What do you eat with your pancakes? Do you observe Shrove Tuesday? I will add more oil to the frypan between each pancake. Serve as soon as possible with your favourite toppings. *I used Orgran Egg Replacer. It is ideal to use in recipes which only require one egg, such as pancakes, waffles and muffins. It is convenient to keep in the pantry and useful in this current egg shortage. 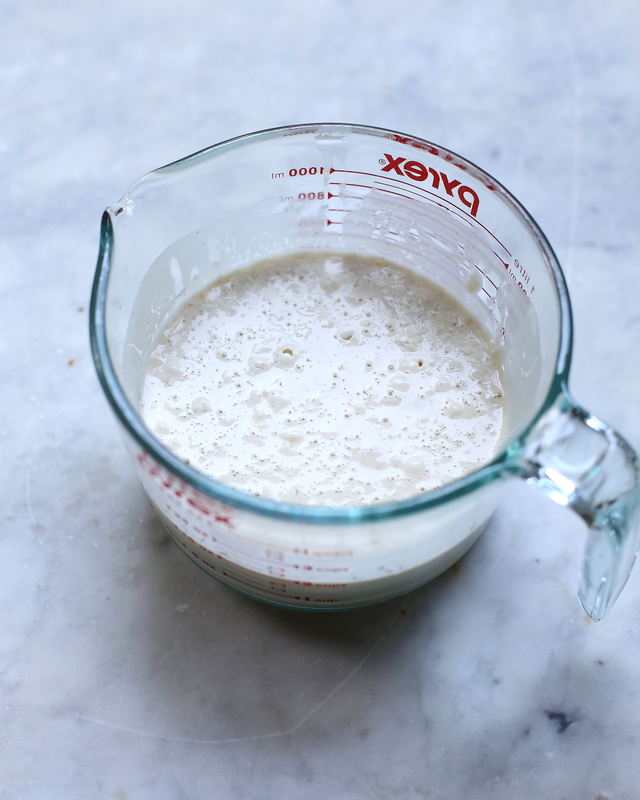 Posted in PancakesTagged food, food photography, Lent, Pancake Day, Pancake Tuesday, Shrove Tuesday, vegetarianBookmark the permalink. Lemon juice and sugar on pancakes is my mother’s favourite. I haven’t had it in the longest time. I should probably try it again. Thanks for stopping by!